This exhibition seeks to trace the development of the greatest contributions of Britain to European art. Stubbs Gainsborough and Constable and JMW Turner, Whistler and Nicholson David Hockney, British art is largely defined by the work of landscapers. The sample consists of 111 pieces begins with the great painters of the eighteenth century topographical and runs Romanticism, Prerrafaelismo, and Impressionism, to the avant-garde and modernism of the last century, showing the vitality of the landscape genre in the XXI century. The exhibition allows to establish a link between traditional and contemporary art, making the processes that led to the representation of landscape is currently understood. This major project is a binational collaboration between Mexico and Britain for the disclosure of assets never before seen in our country. 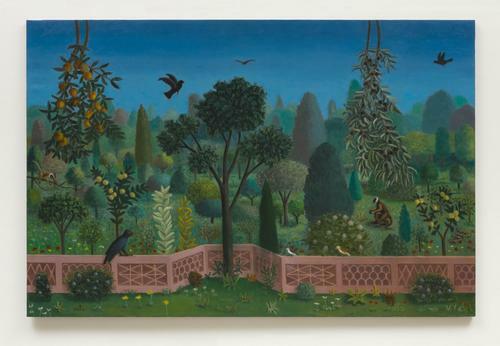 The British Council (http://britishcouncil.org.mx/) and the National Museum of Art (MUNAL (http://munal.mx/) ), present for the first time in Mexico, landscape paintings from Tate Britain's outstanding collection. The exhibition traces the development of Britain's greatest contribution to European art: landscape painting, while also explaining why this form of art became the central expression of the British visual imagination. Many of Tate's finest oil paintings, watercolours and drawings, prints and photographs –from Gainsborough and Stubbs, to Turner and Constable, Burra and Hockney– will be seen in the￼ context of the literary, philosophical, political and social forces which shaped the nation's growth over nearly three centuries. The exhibition embodies a unique opportunity to view and enjoy, in Mexico, the remarkable works of such an important art collection.